Will BoJ Rescue "Markets" Again? Home→Charts I'm Watching→Will BoJ Rescue “Markets” Again? Will BoJ Rescue “Markets” Again? Reuters reported over the weekend that the BoJ was “brainstorming” an overhaul of its massive QQE program. Given that equities have been sliding ever since USDJPY’s rising trend was broken in mid-August (the white arrow, below), I’d say the term “brainstorming” doesn’t convey near enough desperation. As the article points out, the BoJ now owns 25% (some say 30%) of all JGBs. It’ll be 40%+ in 2016. And, given that most banks, insurers and brokers are required to hold JGBs for collateral purposes, one can easily envision a shortage of bonds for QQE. What the article doesn’t mention, however, is the BoJ’s massive and growing position in equities. Along with the GPIF, it amounts to around 18% of Japan’s GDP. It’s hard to imagine them throwing a huge leveraged bet like that under the bus on a technicality like what’s eligible collateral under the QQE guidelines. And, let’s remember that it isn’t the growth in money supply per se that’s propping up stocks. It’s the money directed at equity purchases and, more importantly, the ongoing yen debasement that fuels the yen carry trade. The BoJ and others are very adept at manipulating the USDJPY — down to .01 moves when need be — in order to keep the carry trade alive. But, at some point, it’s going to be pretty obvious to everybody that the USDJPY has gone nowhere since first tagging the yellow .618 at 120.11 on Dec 4. 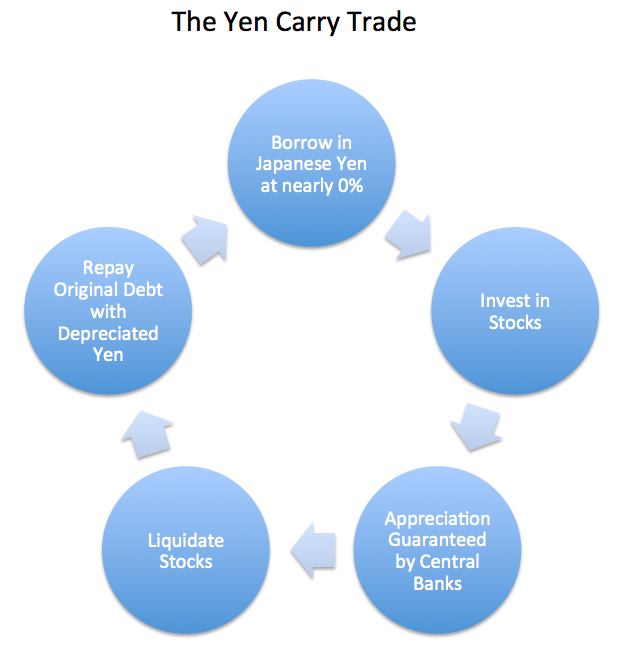 However they accomplish it, BoJ has to hammer the yen lower or face the consequences of its inaction. On Dec 4, NKD closed at 18,105. Nine months later, with USDJPY still lingering near 120.11, NKD is trading at 18,060. The 3,000 point (16%) rally in between is a rapidly fading memory. Brainstorming? 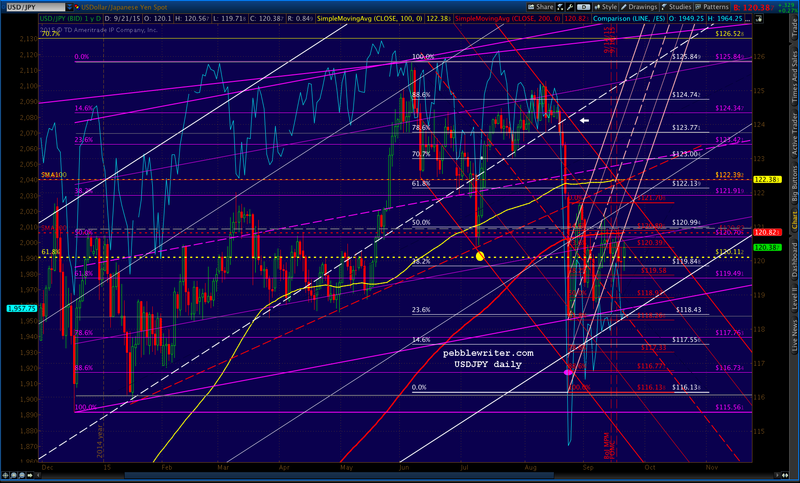 It’s more likely that BoJ is mapping out the exact time and place for USDJPY’s next leg up.